Today is the 70th anniversary of the final surrender of the German 6th Army at Stalingrad, the last act in the most significant battle of the Second World War. It marked the end of the Nazi dream of eastward expansion, and the beginning of the Soviet counteroffensive which would end two years later with the Red flag flying over the Reichstag in the ruins of Berlin. Whatever one thinks of the wartime Soviet regime (and even a committed communist like myself has some serious reservations about Uncle Joe) it’s impossible to read the story of the struggle for the city without being inspired by the remarkable courage and tenacity of the troops who fought and died to turn the tide of fascism on the Eastern Front. Units like the young women of the 1077th AA Regiment, who stood against the advancing Panzers to the last shot, or Rodimtsev’s 13th Guards Rifle Division, 10,000 strong at the start of the campaign, of whom barely 300 lived to see the German surrender. 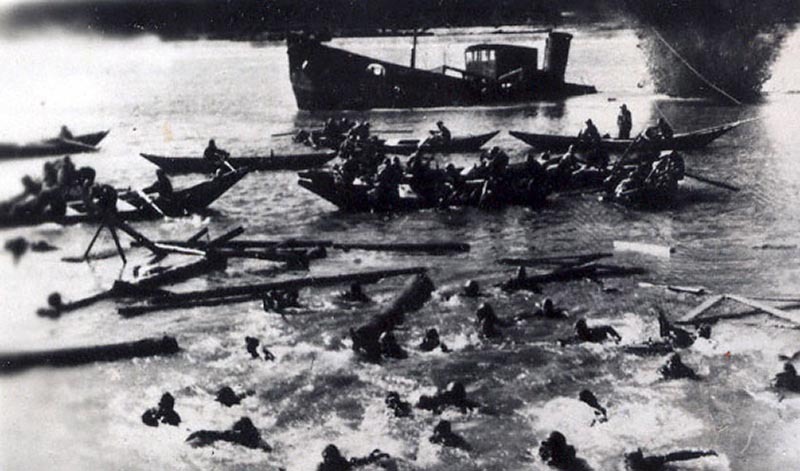 The battle made heroes of Vasily Zaytsev and Yakov Pavlov, among many more of the thousands of soldiers who crossed the burning Volga to defend the last Soviet enclaves on the west bank of the river, knowing that their life expectancy could be measured in hours. Their sacrifice stalled the Nazis while Soviet forces built up on the German flanks, ultimately springing the pincer movement that trapped and destroyed the once-mighty 6th Army. The resolve of the Soviet troops was undoubtedly bolstered by harsh discipline – Stalin himself commented that it took a brave man to be a coward in the Red Army – but it’s clear from contemporary accounts that the soldiers on the front line were well motivated to fight the invaders, partly by ideology, but mostly by a desire to protect their homeland. Although with hindsight the Soviet victory at Stalingrad seems as if it was inevitable, given their ability to replace losses in a way that the overstretched Germans never could, at the time it must have been much less certain. The decisive factor may have been that communism, even in the distorted form of Stalinism, is essentially rational – coldly and brutally rational at times, but always more effective than the half-baked mysticism of Nazi ideology. 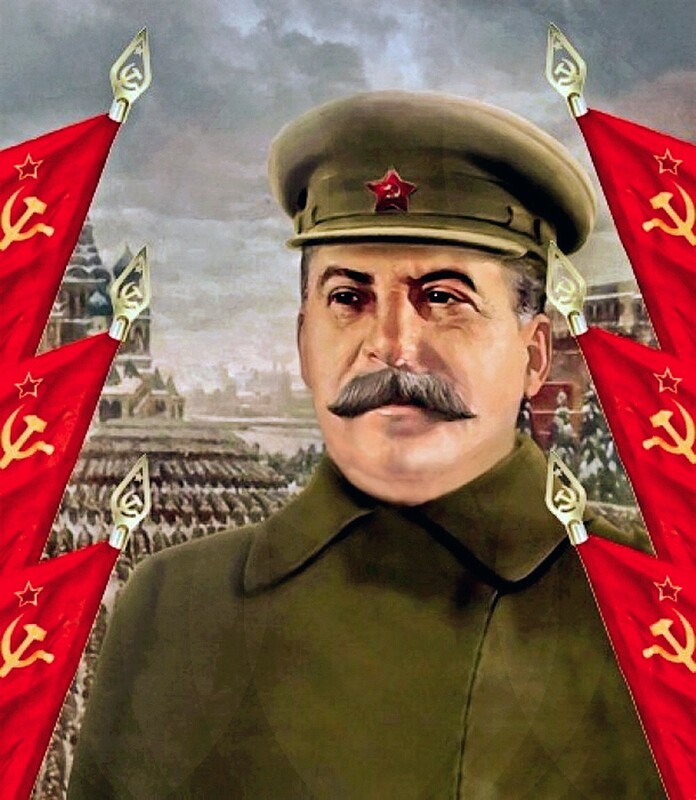 Hitler may have believed that Aryan destiny and fighting spirit could substitute for food, ammunition and winter uniforms, but Stalin knew that the war would be won by the side which could bring the most force to bear on the enemy, and at Stalingrad the Soviet armies proved that with ruthless efficiency.